These are a really fun, quick and super tasty meal idea that I really enjoy. 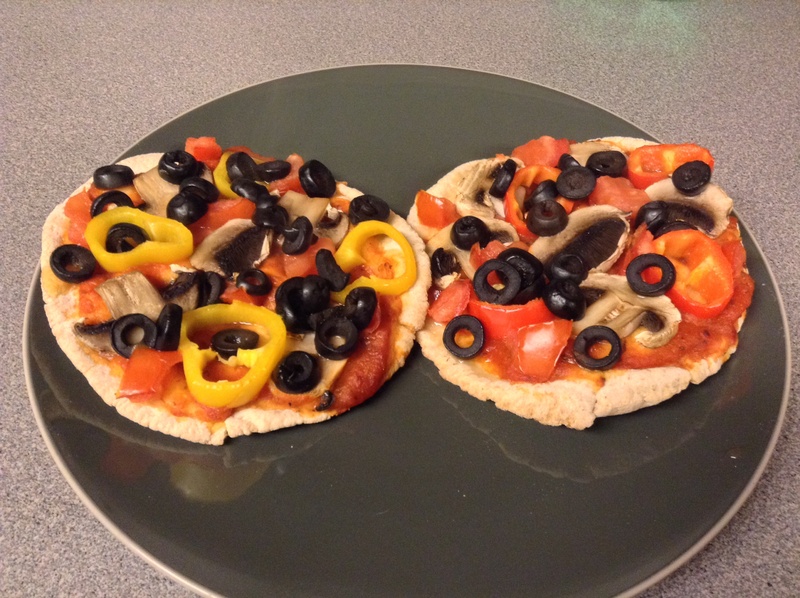 Personal Veggie Pizzas! You can top these with just about anything and bake them or eat them raw. I personally like them without cheese, but they would be good with some type of Vegan cheese if you like. I like to use Pita bread, top with pizza sauce and load with veggies. This is an excellent idea for kids too, they can even help make them!! The pizzas above were loaded with cut tomatoes, olives, mushrooms, and peppers. I baked this one. Fantastic!! With the pizzas above, I was going for a Meditteranean-style dish. 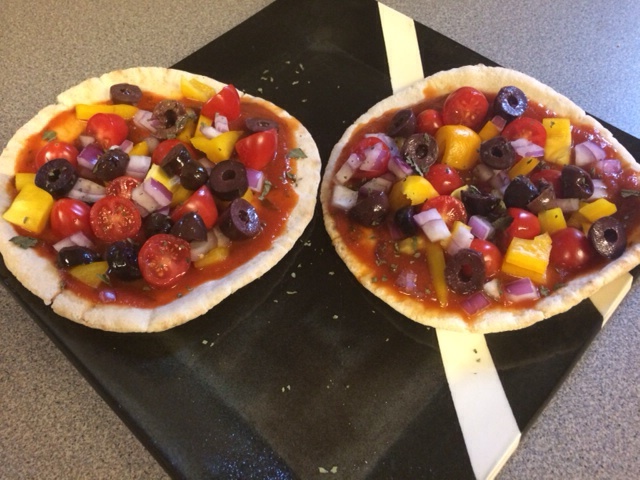 I used cut kalamata olives, yellow peppers, cherry tomatoes, diced red onion. I sprinkled a little dried basil and voila! Perfection! I did not cook this one and it was pretty darn good! and…. they are loaded with vitamins, minerals, healthy fiber and antioxidants. None of the preservatives or additives that should be avoided. Enjoy! This entry was tagged pizza, vegan, vegan recipes. Bookmark the permalink. ← Lettuce Grow a Beautiful World! The pizzas look great! Love this idea. And thanks for the shout-out but Ginny Messina, my co-author, wrote that piece for our Vegan for Her website! Thanks! I will make the change! I was also going to share the plant plate in a few posts. It is so helpful and you know how much I love it 😉 I will be sure to reference both you and Ginny.